I've been on a bit of a hiatus recently, not from cooking or eating mind you, simply from posting the evidence of such. And while there are a myriad of reasons I've not visited this space of late, one word explains it best: life. Just the every-day and not-so-every-day, time-consuming ups, downs, and "all-arounds" of life. And yet, amid all that has consumed my time in the past few months, keeping me from this little culinary project of mine, I've managed to get in the second (and woeful last!) go-around of what I consider a "parental right." That being, of course, the one that says you get to tack on to your child's study abroad experience. No...not as they are having this wonderful adventure (I do have some tact), just at the tail end of it, when their program has come to a close and it's time to come to terms with the reality of that...and head home. But...just before that happens, this "right" implies that I get to pop in to wherever they may be and continue on with them for a little adventure of our own. This year, alas, dad was not able to go...again, that dreaded "life" getting in the way. Two years ago, it was Rome and Venice with our oldest daughter. This year, it was London, Paris, and Amsterdam. A splurge? Yes. A treat? Definitely! A sacrifice? Worth every penny!!! And, like I do with nearly every trip I take, whether it's a few hundred miles from home over a long weekend, or clear across the Atlantic for 10 days...I relive many of the memories of these times through my kitchen. I happened to arrive in London for Mother's Day. With threats of a spewing volcano and airline strikes, this was no easy feat. And London, being the location of our youngest daughter's semester of study, would be left for her to present. I'd been to London nearly 12 years prior, but I eagerly looked forward to seeing it through the eyes and experiences of our 21-year-old. We walked the streets and neighborhoods she traveled in her four months abroad, going to and from school...visiting many of the same theaters, museums, parks, cathedrals, outdoor markets, major sites and, yes, bars (!!!) that she did!! However, on Mother's Day, my daughter whisked me, via London's fabulous tube (how did we miss the memo on this mode of transport??? 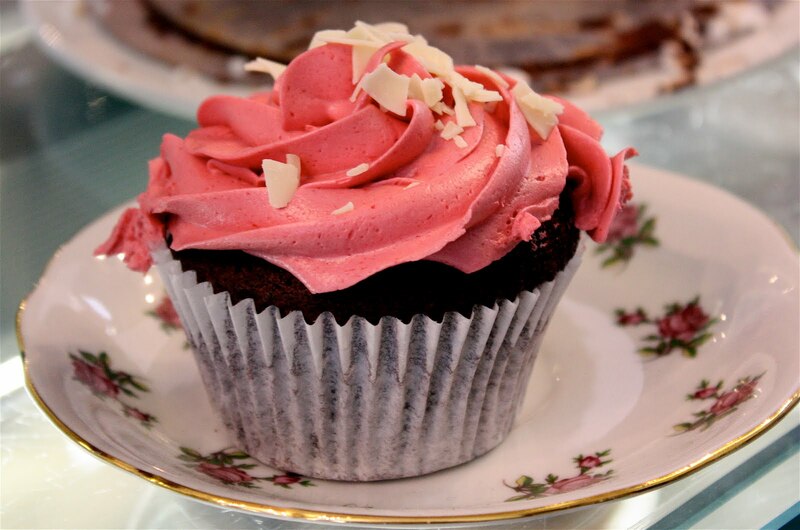 ), to the most darling little artisan café/bakery called Bea's of Bloomsbury (located on Thiobald's Road, just a short walk from the Holborn station). She had, weeks prior, reserved one of their very few tables for afternoon tea. Afternoon tea, as you may well know, is a very English thing. 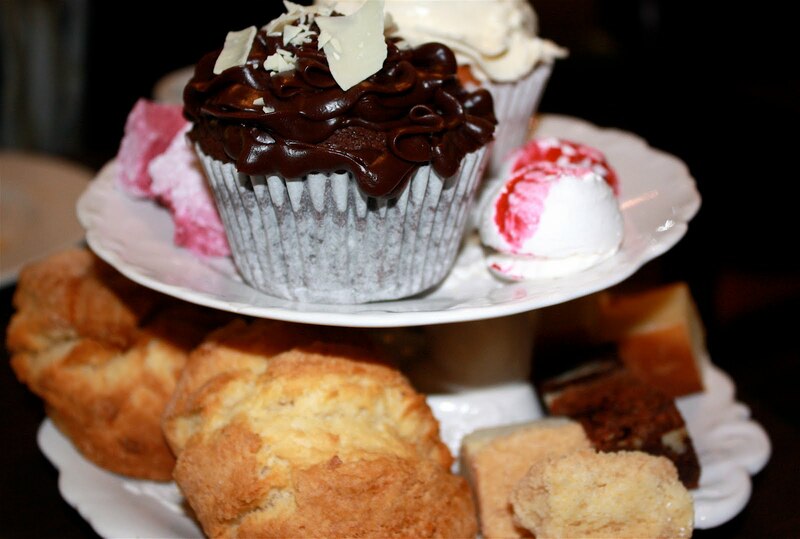 High teas, or afternoon teas, are served at nearly every top hotel and trendy café in London. While there is some disagreement on whether the terms "high" and "afternoon" are interchangeable in describing what is served and when, it is generally agreed that afternoon teas originated back in the mid 1800's with the Duchess of Bedford requiring a spot of tea and some pastries mid-afternoon to curb her hunger. Lunch was traditionally served at noon, but dinner wasn't usually enjoyed until well after eight o'clock at night. So to keep the tummy from rumbling unnecessarily, afternoon teas were initiated. In London, afternoon tea at the Ritz, the Dorchester, or at Fortnum & Mason are highly touted and especially popular with tourists armed with their trusty travel guides. Resplendent with scones, doilies, and perfectly polished silver service, these pricey extravaganzas can, however, fall short in the charm category. So this is where the benefit of local knowledge has its value. Bea's is a charming, tiny, jewel-box-like café of sweet treats and steaming brews. 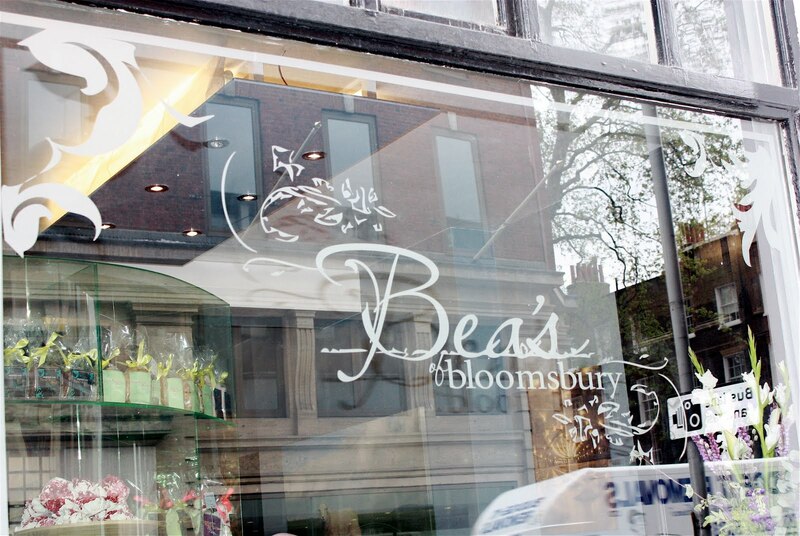 It is, as its name aptly denotes, located in the Bloomsbury neighborhood in central London. Bloomsbury is known for its blossoming trees and abundant greenery (thus, the name), and also for being home to the famous Bloomsbury Group of literaries -- Virginia Wolff, E.M. Forster, T.S. Eliot --as well as writers Charles Dickens and George Bernard Shaw. Obviously a locale fertile beyond its vegetation! At Bea's, the front window is filled with towers of perfectly iced cupcakes (yes...cupcakes are the "in" thing now when it comes to afternoon tea); colossal-sized meringues (some sprinkled with chopped nuts, others topped with berry-flavored drizzles...never before have I seen such meringues! ); varieties of colorful fruit-flavored marshmallows (another first! ); and a bevy of sweet cakes, chocolates and brownies. The treats dare passers-by to simply pass...knowing full well they won't. Without knowledge of this little gem, however, one could easily dismiss this quiet street so near the City center. Being more of a savory girl myself, I have to admit that I was a little hesitant about my ability to eat more than one or two little sweet treats in one sitting. Fortunately, we started with a small plate of mini sandwiches...perfectly made little morsels of fresh baguette layered with sweet red tomato, fresh basil, and mouth-watering mozzarella cheese. Simple...yet delicious. We had both agreed on a vanilla-flavored tea and, surprisingly, it went quite well with our little sandwich selection. And then...our tower of sweets arrived! There were scones, cupcakes, mini meringues, sweet little bits of cake and brownie, and a variety of little fruit-flavored marshmallows...all beautifully arranged on a two-tiered, porcelain pedestal. And of course there was also clotted cream (yum!) and fresh jam. Having witnessed some tea-goers before us happily carting a small box of leftover treats on their way out, I comfortably settled in to simply enjoy the spread laid out before us, and the company of my darling daughter. More than an hour later, our steaming pot of tea was emptied and our tower of sweets stood bare! Unlike the Duchess of Bedford, we had NOT had the benefit of a noontime lunch. Now that we are firmly (though not necessarily permanently) planted at home, I will always have wonderful memories of our afternoon tea at Bea's of Bloomsbury. Many that will stay in my heart forever. 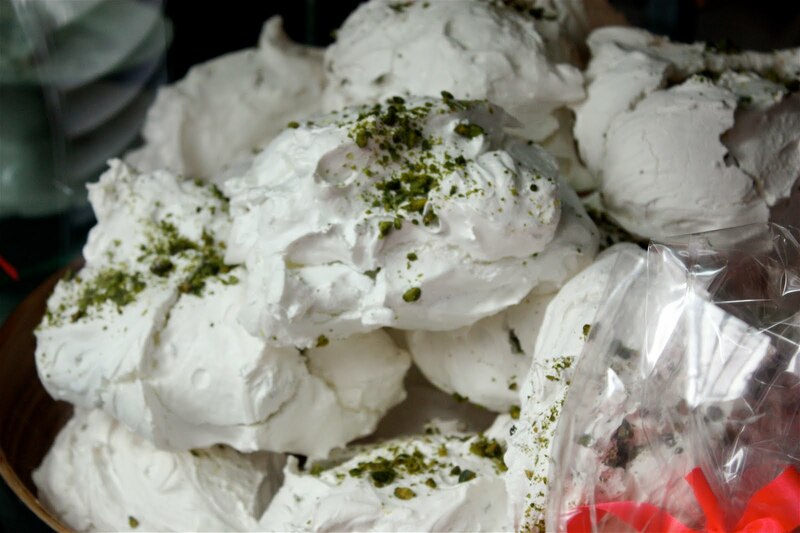 I will look forward to making some mini meringues to top with fresh berries (if our drizzle ever fizzles) and even, perhaps, take a stab at some flavored marshmallows. 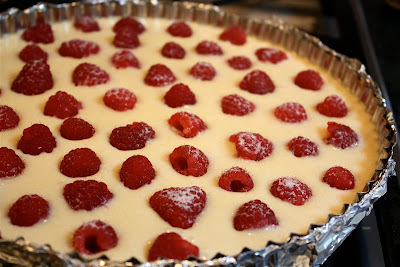 For now, however, this beautiful raspberry-créme fraîche tart will have to do...and it does quite well. I have served it to my family and friends many times over. 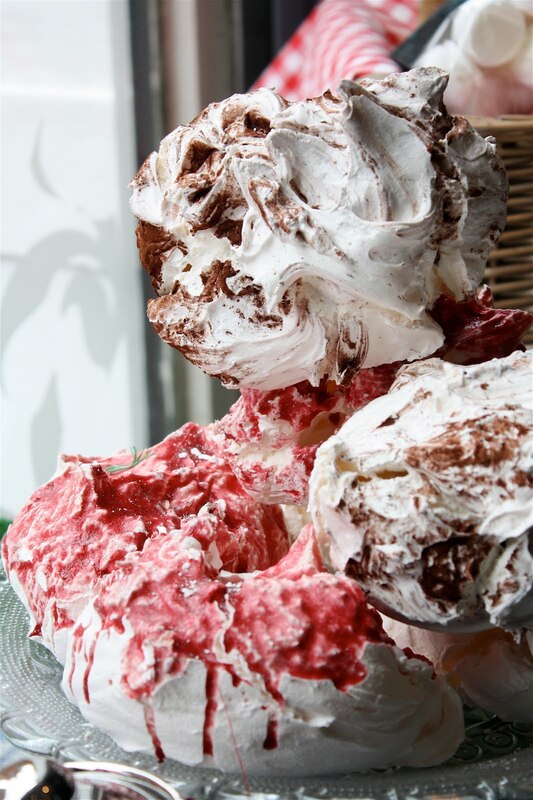 It's delicious and keeps well...which is especially perfect if you need a dessert to make ahead. And, it makes a pretty presentation -- dotted with sweet red raspberries, that nestle down into the tart once baked. And, like the many treats we enjoyed at Bea's, it's not sugary-sweet...a definite plus in my opinion. 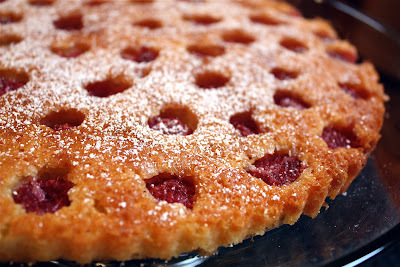 It has a nice airy, cake-like texture that is perfectly enhanced by the tart-yet-sweet raspberries that dot its surface. 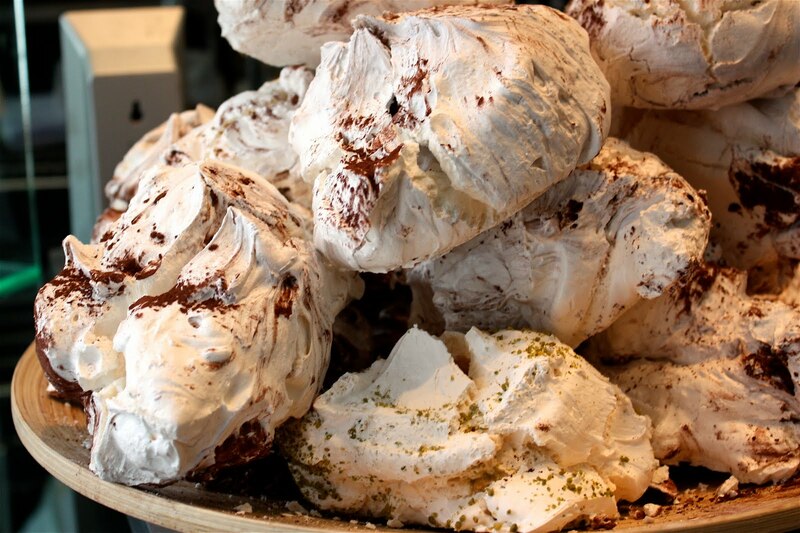 It's a great dessert offering...or, cut into little wedges, perfect for an afternoon tea! I adapted this recipe from one I cut from a magazine more than seven years ago. Best guess is it's from Bon Appetit. 1. Place baking sheet in bottom of oven. 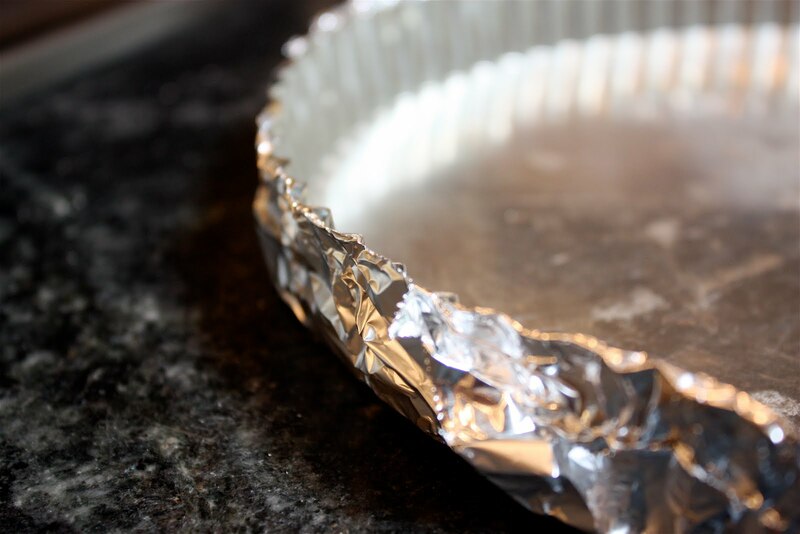 Preheat oven to 375 degrees F. Wrap outside of 11-inch tart pan with removable bottom with foil (to prevent batter from seeping out). Set pan aside. 2. Using electric mixer, beat butter, 1/2 cup sugar and salt in large bowl until blended. Add three eggs and 1/2 teaspoon vanilla; beat until smooth. 3. Add flour and beat just until blended. 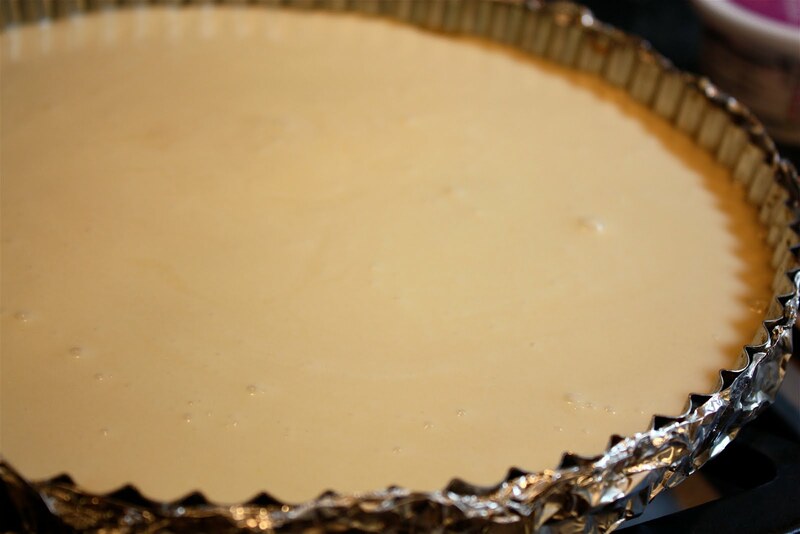 Spread batter over bottom of tart pan (it will come approx. 1/2" up sides of pan). 4. 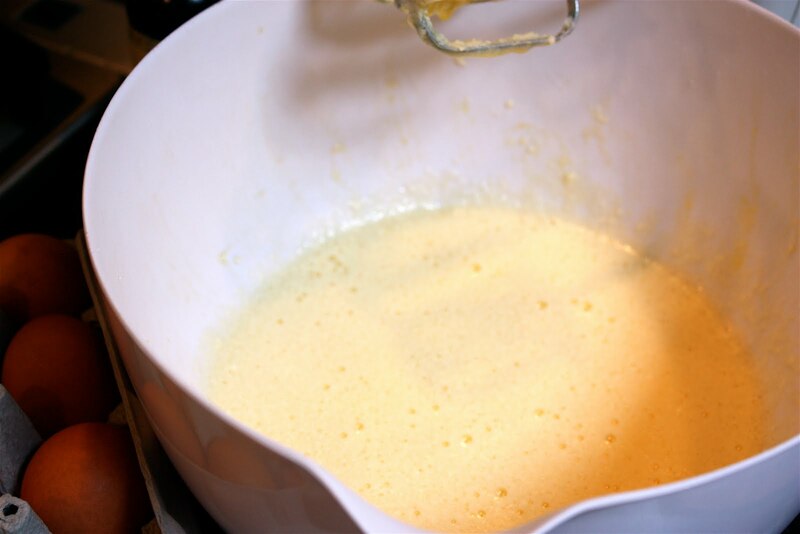 In a separate bowl, beat 1/4 cup sugar, 1 egg, 1/2 teaspoon vanilla, and créme fraîche until well blended. Spread custard over top of batter. Arrange berries 1/4" apart atop custard, Sprinkle tart with remaining 1 tablespoon sugar and place in oven. 5. Bake tart for approx. 40 to 45 minutes, until set and browned around edges. Cool completely and carefully remove sides of tart pan, easing edges out slowly to avoid tears. Place on serving platter. (Note: at this stage, you can loosely cover tart with foil and chill, if planning to serve the following day. Let come to room temperature before dusting with sugar or serving.) 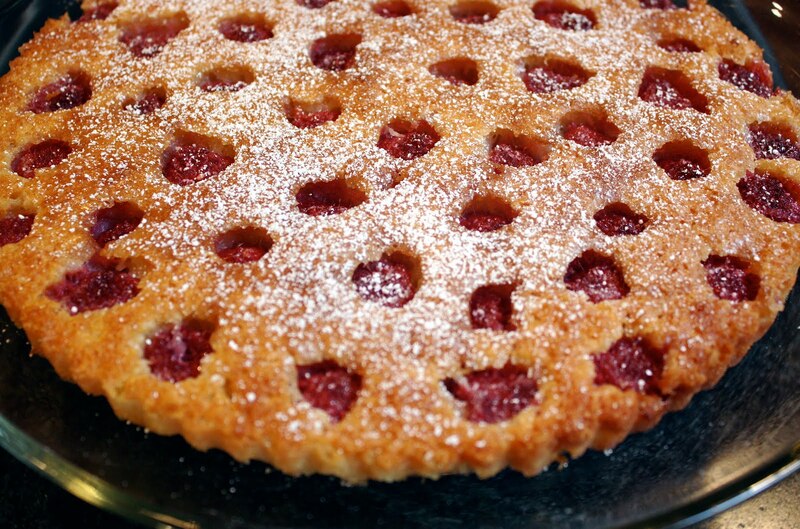 Once tart is completely cooled (or at room temp, if previously chilled), dust lightly with powdered sugar, if desired, and serve.